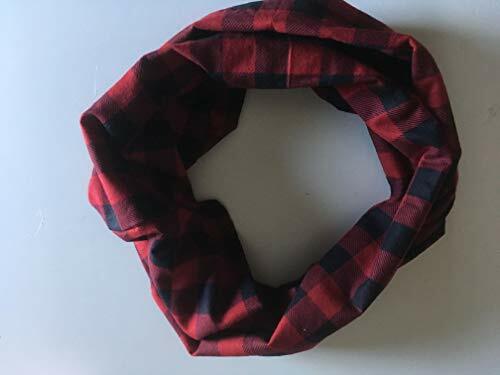 Red And Black Buffalo Print Double Infinity Scarf. Makes a great gift for any occasion. Will definitely keep you warm and will go with just about any solid color. It is made out of 100% cotton flannel and great gift for any occasion. The scarf is made from 100% cotton Flannel. Laying flat this scarf is roughly 35 inches long and 10 inches wide **Measurements may vary slightly from scarf to scarf. Scarf should be hand washed and air dried (lay flat) to ensure longevity. **The pattern placement may vary from the photo **Colors vary due to different monitor qualities or lighting **Cotton will become softer with wear and washing. If you have any questions about this product by 2LjDesigns, contact us by completing and submitting the form below. If you are looking for a specif part number, please include it with your message.